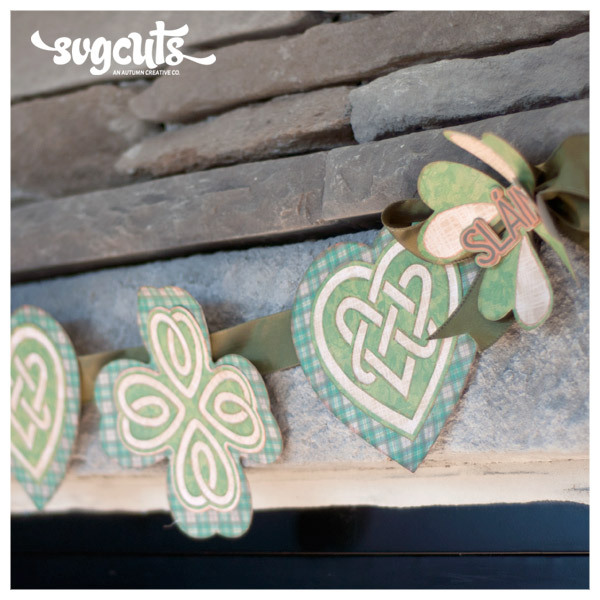 I created this fun and simple St. Patrick's Day banner with just one SVGCuts collection! As the old Irish blessing goes, "may your blessings outnumber the shamrocks that grow, and may trouble avoid you wherever you go." 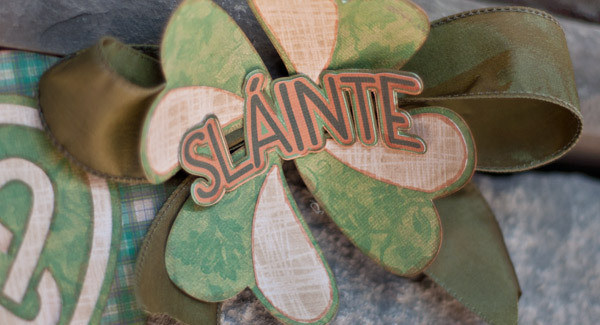 This banner design would also be great for many other holidays using different shapes, etc. 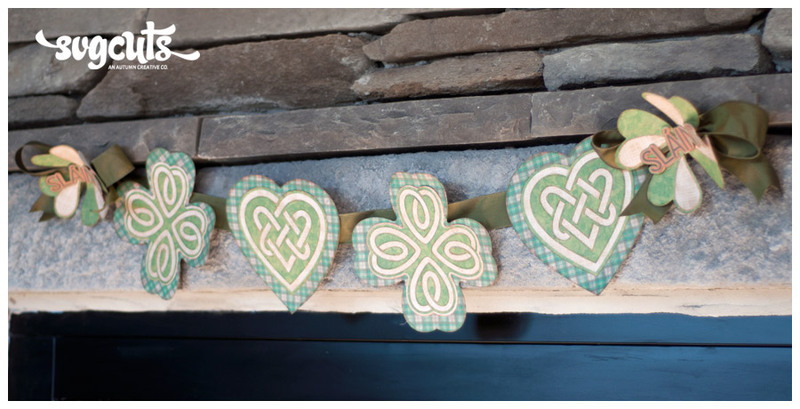 To hang your banner, simply tack it with thumbtacks to your wall or mantel etc., using the ribbon behind the end shamrocks. I like to ink my sides with Copic markers, especially the smaller more detailed cuts. I then go over them with the colorless blender, to give it a soft inked look. I gave this project a stained vintage feel by edging with a light brown tea color. I used digital papers that I found on a blog that were free! 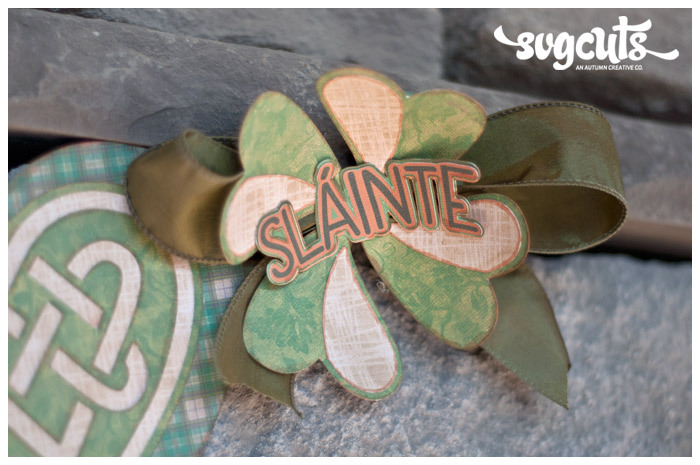 "Freebies Vintage Paper – Patrick's Day" from http://farfarhill.blogspot.com. I loved the look and feel of them. I did brighten them up a bit in Photoshop. The only color paper that is not part of this freebie was the accent tan paper. I found it best to lay everything out on the ribbon before gluing it down to make sure and get everything spaced evenly.